Not all media players and devices are compatible with one audio format. 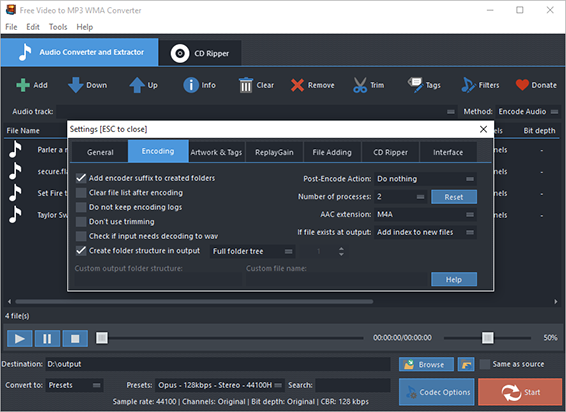 In this case, we need an audio converter like Free Video to MP3 WMA Converter which can finish audio conversion perfectly with high speed and excellent quality. Click “Add” and you can add audio files in the following ways: “Add Files” – to add one or more audio files; “Add Folder” – to import the folder containing audio files; “Add Folder Tree” – to input the folder along with its subfolders. To change their order, click “Up” & “Down”. Select one conversion type (Presets or Codec) from “Convert to” menu. If you choose “Presets”, then choose the presets you prefer from a whole list of quality presets in the menu of “Presets”. If needed, “Codec Options” can be used to adjust codec settings. 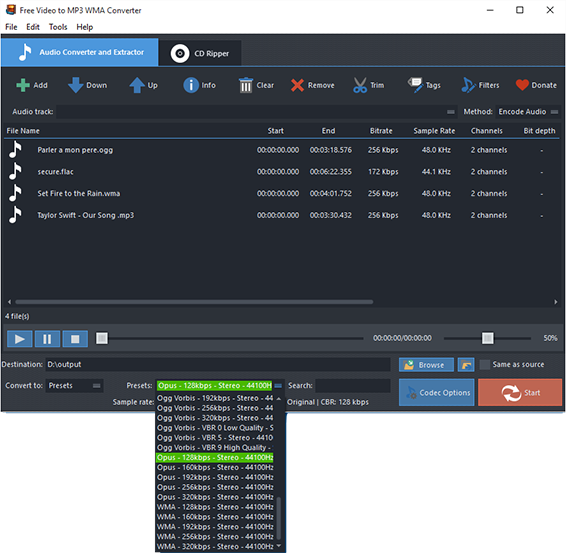 Then, click “Browse” to choose an output folder for the converted audio files and the “Same as source” is to save them in the source folder if needed. 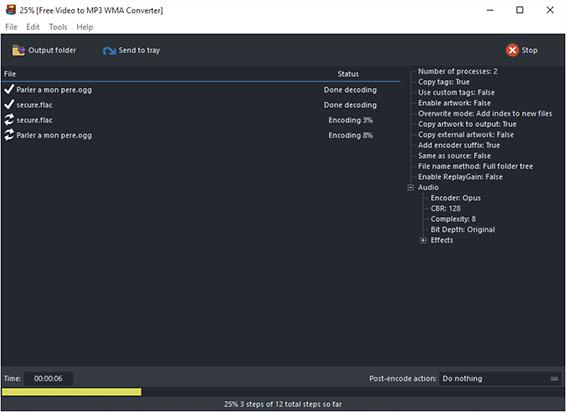 Click “Start” to start audio conversion and when the process is finished, you can click “Open” to find the converted files directly. 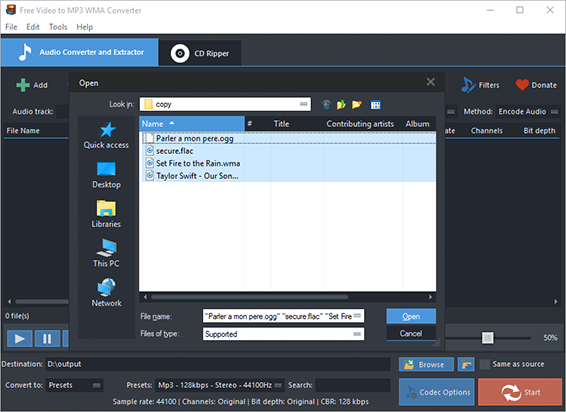 You are also allowed to trim audio by “Trim” and if you need to rip audio from CD, switch to “CD Ripper” tab. To make all your audio files a well tagged collection, click “Tag” and you can edit tag info like artist, album, performer, genre, date, etc. To specify effects and filter settings, click “Filters”.